Discover the basics of sewing with "CUDDLE®" fabric by Shannon Fabrics. With the tips and tricks you’ll learn in this class, you will see how it’s very easy to sew with Cuddle®. 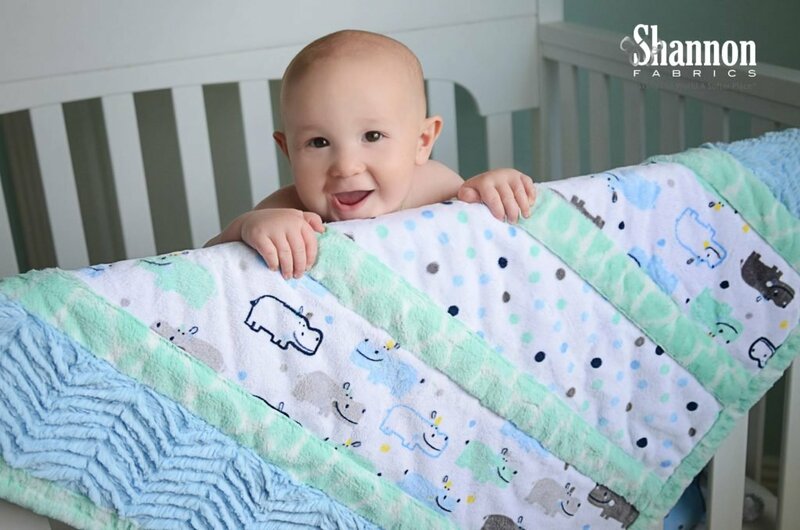 Learn the simple Stitch & Flip Method used in making a Cuddle® quilt. Each student should be able to complete a 27" x 27" Wee One baby quilt in class. Particular attention will be given to binding techniques. You will leave this class confident and excited to move on to many other fun and plush projects!